Panang Curry is one of the most Thai popular dish. Although this curry looks spicy; however, it is not that spicy. It has all tastes, sweet, salty, and a little bit spicy. You can put any kind of meat into this curry. It’s good to eat with rice. You will love it. 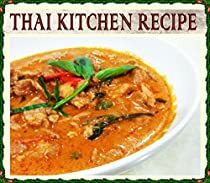 In thisThai cookbook, you will learn step by step how to cook. There is a photo in each step to teach you how to cook so that you won’t lose the instruction. You will be very proud making your own dish.